Having a bit more time to spend with the new Sims 3 expansion pack, I got to see how some of the other careers and professions work, Sim-Karen explored Twinbrook and she now has two new Sims living in her household! 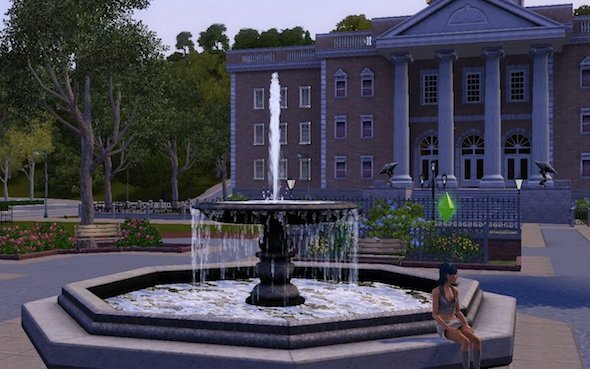 Spoiler Alert - this article contains screenshots and details from the Sims 3: Ambitions expansion pack. When we left off last time, Karen moved away from Riverview and settled down in the new town of Twinbrook. 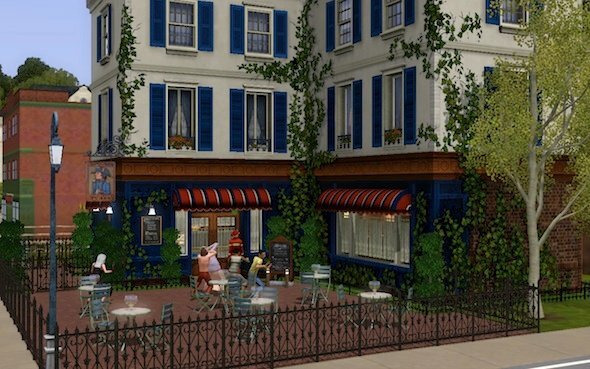 Given that Riverview and Sunset Valley were the only “official” towns offered by The Sims 3 since the game’s release a year ago, a new neighborhood was long overdue. (We’re not counting the “worlds” in World Adventures EP as Sims can only visit them temporarily). Twinbrook is a big town, that’s been flooded in areas, leaving some parts marshy and overgrown while other parts are cozily developed. 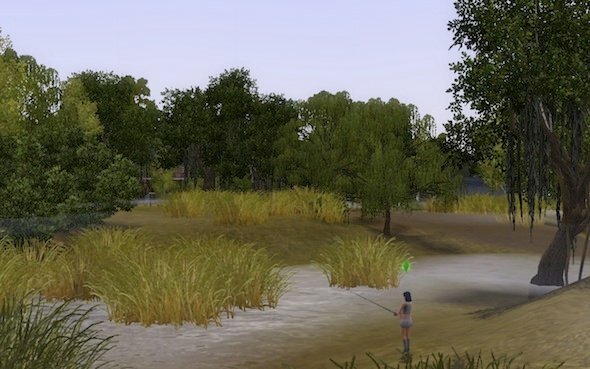 I might have expected something a bit more urban given the big “career” theme of the EP but Twinbrook’s a nice town, filled with clusters of residential areas, quiet fishing spots and community lots for Sims to gather. Among the new community lots is a Laundromat. Karen has a washer and dryer at home but she checked the place out and found it was a good place to meet people. It’s also a good place to exercise her handiness skill as the washers there are apparently a bit unreliable. Karen’s been busy working as a self-employed inventor. She worked her way up to inventing the time machine. 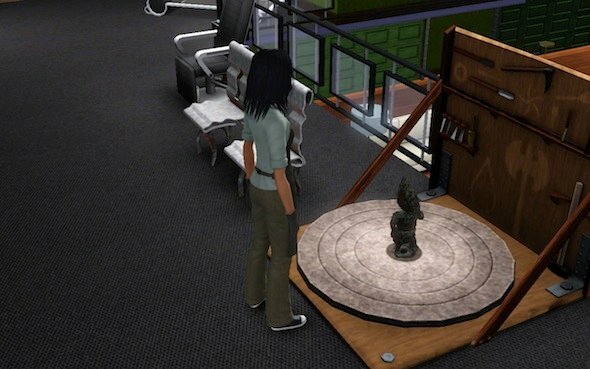 The time machine lets Sims travel to the past or the future. They can also woo-hoo in the past or future. The machine’s another rabit-hole though, so don’t expect to get to see your Sim cruising around in a flying car in the future or getting attacked by tribesmen in the past. It’s more like what happens when the explore the catacombs at the cemetery. They go in and we a list of things that are happening to them while they’re exploring. 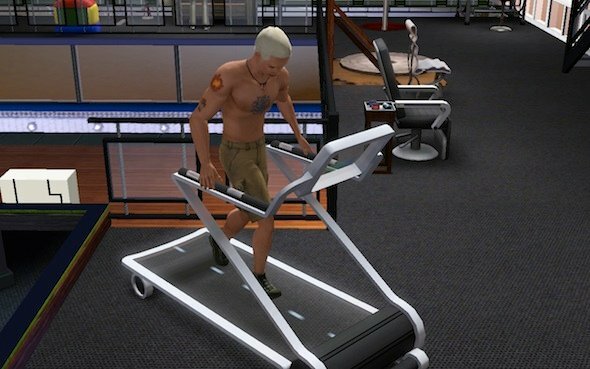 The machine looks like an elevator when it’s off and like a blurry elevator when a Sim’s using it. After she reached Level 10 on the invention skill, she ran out of things to invent. She used some of her lifetime reward to purchase the “Best Friend” award. This ensures a best-friend relationship status with simbots created on that lot. Upon selecting this pricy reward, Stacy showed up out of nowhere and became a permanent part of the household. She came fully programmed with traits. 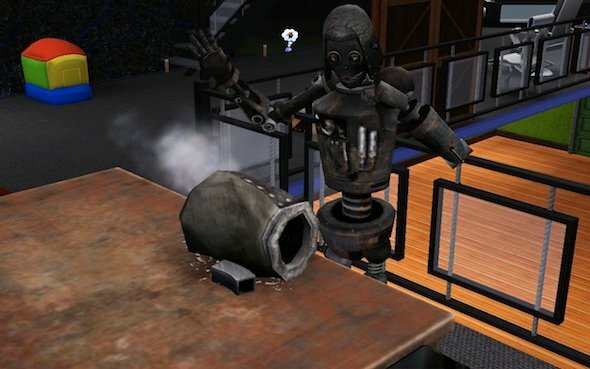 Simbots have needs, just like regular Sims, though they don’t require showering (I’m pretty sure water’s bad for them), and they eat scraps instead of food. Stacy broke down while visiting the junkyard but Karen fixed her up. I noted that she had the option to reprogram Stacy’s traits when she was broken down. Given that she didn’t get to pick them when Stacy was created, that’s a bonus. 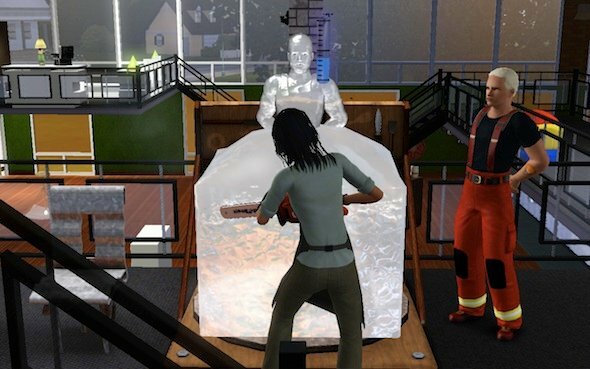 I’d heard that Sims could create simbots through a series of opportunities and while I wanted to keep Karen busy inventing until she got the first opportunity, there were other things about the game I wanted to see. So Stacy took over as the resident inventor and Karen got herself into the architecture profession. Her working hours were 8:00 a.m. to 6:00 p.m.
As she has no office of operation to go to, she has to search town for jobs. Going to map-view reveals renovation opportunities during working hours. She can look at a job, see what the budget is and what the person wants done to their house, then decide if she wants to take the job. When she accepts a job, she has a checklist she needs to complete. For example, someone who might a new reading area for their room, might require four bookshelves, a new couch, a new living chair, a stereo and a TV. 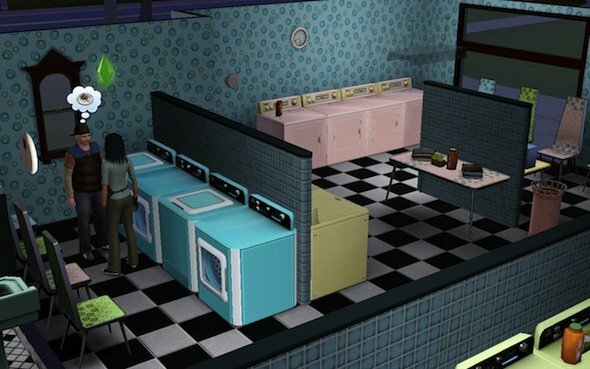 When the Sim accepts the job, they’re brought to build/buy mode within the client’s house. Selling the old furniture and décor adds money to the budget, and obviously, buying takes it away. You can change more than just what’s on the checklist and I found that taking the client-Sims relevant traits into accounts gets better reviews. Karen had one client who was a computer wiz. She added a desk and computer to the gym she was redoing, which made the client very happy. 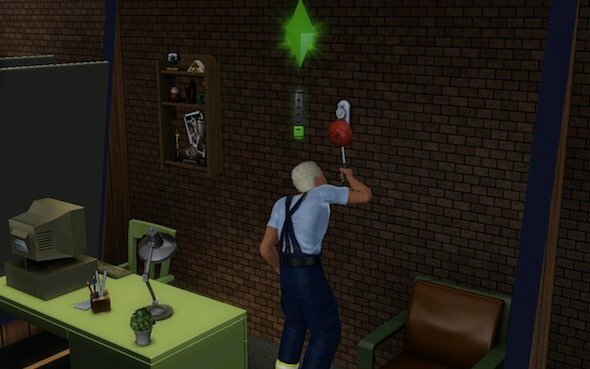 While Karen was busy renovating homes and Stacy’s been busy working on the opportunity to build a simbot (she’s in the process of working on getting the heart-cut diamond), Karen’s new friend Sam moved in and got busy building up his athletic skill in preparation to become a firefighter. Sam has the eco-friendly trait, which means he likes to be as green as possible. 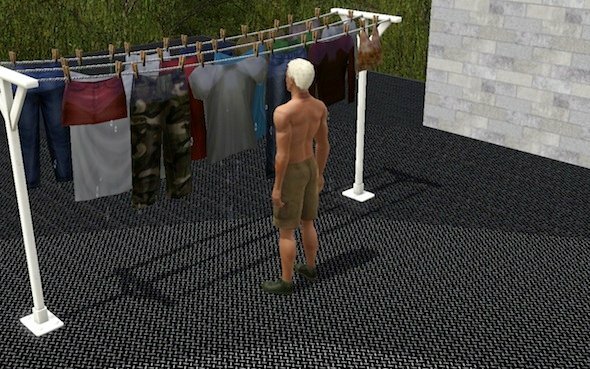 This includes letting his clothes dry on the drying line outside as opposed to using the dryer. 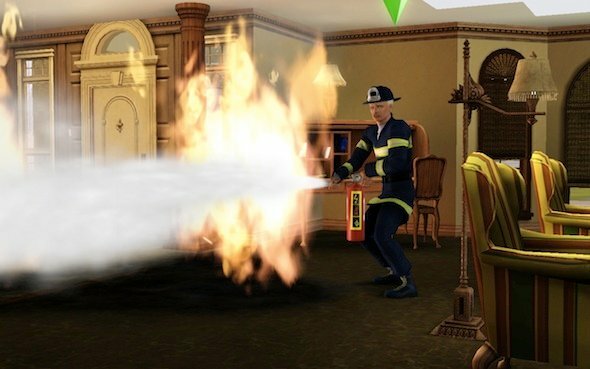 Once he got his athletic ability up, Sam joined the firefighters profession. Firefighters have regular working hours, which they can use sitting around the firehouse waiting for the alarm to ring. 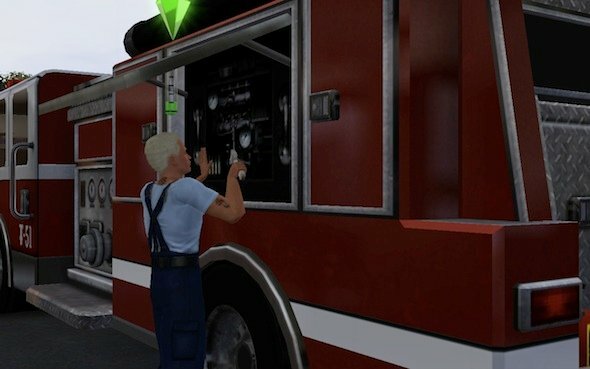 Sam could also work on his handiness skill by maintaining the fire alarm and the truck. He also got to know his fellow firefighters. He attempted to get their attention by faking passing out (he has the dramatic trait) but they all ignored him. I guess firefighters are too used to real drama not to see through fake drama. …to random encounters around town. I think this one had something to do with a mutant plant getting into the restaurant and trying to eat people. Alas, the restaurant remains a rabit hole, so all I got to see of Sam fighting the plant was this. There are also large house fires to put out, which typically involve more than one fire to extinguish and residents that need to be convinced to run. In order to get to them, Sam had to break down doors. 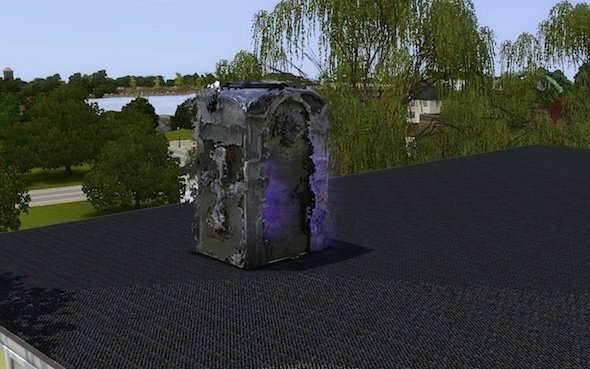 As the first “large house fire” Sam had was a huge house with a garage, it took me something like 14 Sim-hours to get the situation resolved as I didn’t realize that the third and final person who needed to be rescued was in the garage. 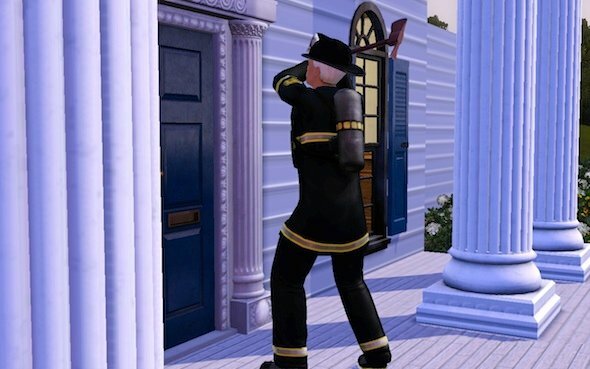 Finding the fire-victims can be as tricky as searching for hidden doors in a tomb but that part’s getting easier and Sam’s just one level away from the top level of the firefighter career. As for what’s keeping Karen busy when she’s not decorating houses? She’s working on sculpting. She found that by sculpting stone, she can sometimes find a rare gem or sculpt a gnome. She could also do ice sculptures and decided to make one of Sam. Then she did a regular ice sculpture, which turned out to be a workable toilet. A toilet made of ice might look cool but it feels even cooler. 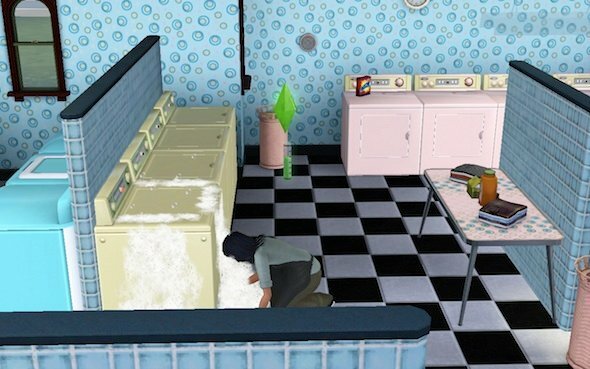 Karen had a cold-moodlet afterward. 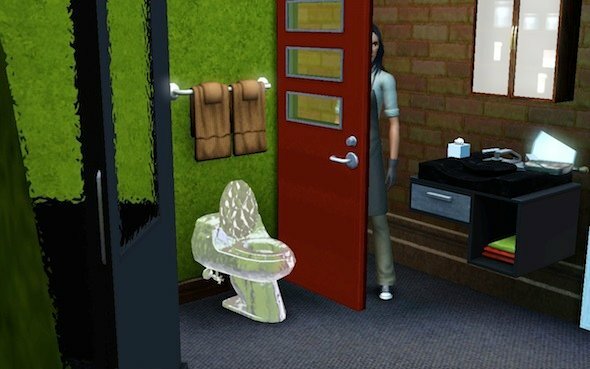 She learned later that ice sculptures melt, so don’t go throwing away your old toilet, even if your Sim makes an ice one! It won’t last. Karen also got to know Sam better. Sam took a liking to her and played the firefighter card when flirting with her. He now has the option to flirt by stating simply, “I’m a firefighter.” That alone had me laughing out loud, but to add to that, Karen fell for it perfectly, clapping and wagging her shoulders at him in response. 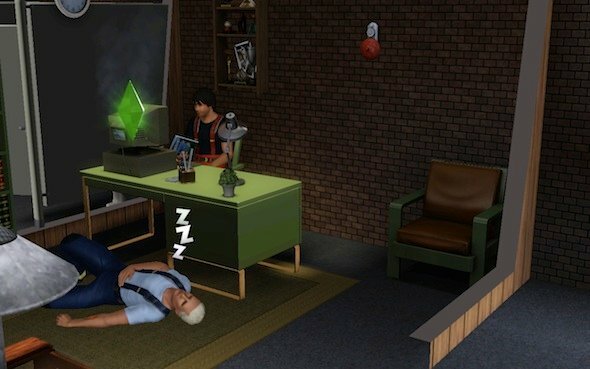 There are still some careers I need my Sim to check out. I still feel like I’m jumping all over the place with this EP but I think that’s a big thing that differentiates this one from World Adventures. 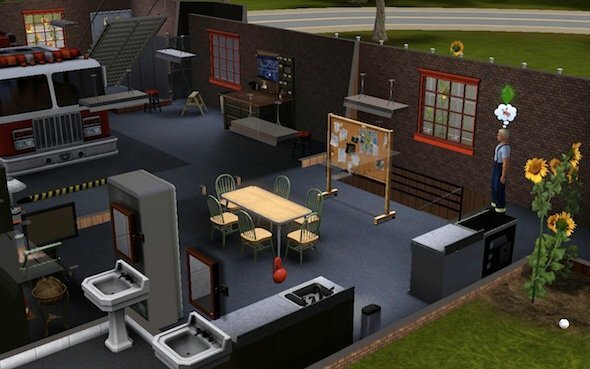 While most of what WA offered was specific to Sims traveling, and escaping everyday life, it seems like a lot of Ambitions builds on to base game. This will appeal to people who prefer to keep their Sims at home and working on their skills and families as opposed to jetting off to other countries in search of treasure and adventure.